Two spectacular features make the Easy Chuck stand out from the crowd. First, a simple twist of the Zoom Ring at the rear of the chuck body lets you rapidly open and close the jaws. This makes it far easier to secure your work, since you don't need to juggle the chuck key and your workpiece at the same time. 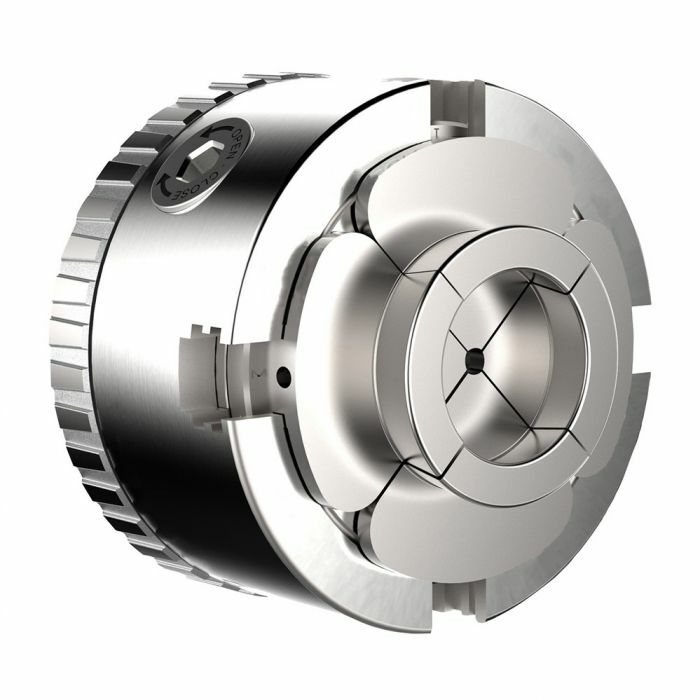 Second, Snap Lock technology lets you change the jaws in seconds rather than minutes. No need to fumble with screws-to install the jaws, just slide them into the channel until you hear the click. To release them, press the key into the hole to release the catch. These two groundbreaking features are fortified by a foundation of more straightforward ones: sturdy construction, excellent fit and finish, and admirable gripping power on the lathe.